Ray Taliaferro, the first black talk show host on a major American radio station, was born on February 7, 1939 and grew up in the Hunters Point district of San Francisco. His talk radio career began in 1967 at San Francisco’s KNEW station and shortly thereafter he also began his career in television, hosting a show on KHJ-TV. Taliaferro was to become successful in both forms of media, his career progressing as he became news anchor at San Francisco’s KRON-TV. When he joined KGO radio in 1977 he was also asked to co-host KGO-TV’s AM weekend program. However it was through talk radio, and particularly his daily program, “The Early Show” on KGO radio which began in 1986, that Taliaferro made his name. Discussing topics ranging from contemporary politics, culture, and current events, Taliaferro often airs his liberal views. Through his strong criticisms of President George W Bush and consistent endorsement of Barack Obama during the 2009 Presidential election, Taliaferro has also earned a reputation as one of the most prominent left wing radio talk show hosts in America. Taliaferro has received high commendation from the media and journalist community and was awarded the Black Chamber Life Award in 1994 by the San Francisco Black Chamber of Commerce. Aside from his successful career in radio and television, Taliaferro is also greatly involved in his local community and offers aid and support to a range of causes. He is a strong proponent for civil rights, having served as the president of the San Francisco chapter of the National Association for the Advancement of Colored People (NAACP) between 1968 and 1971, and in 1975 he also helped to found the National Association of Black Journalists. Due to his charitable efforts to raise money for leukemia research, Taliaferro was named board president of the Northern California Chapter of the Leukemia Society of America from 1995 to 2000. His community efforts can further be seen in his position as the Mayors Commissioner of the War Memorial Trustee Board between 1992 and 2000, and also through his position as head of the San Francisco Art Commission for 16 years. In 2011 Taliaferro was inducted into the National Association of Black Journalists Hall of Fame. Through his unwavering political views and his strident efforts to aid his local community, Taliaferro has become a well-respected and well-known radio personality. 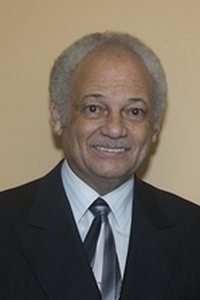 On November 10, 2018 Ray Taliaferro was reported missing by his wife. Two weeks later on Sunday, November 25, his body was found in a wooded area near Paducah, Kentucky. Taliaferro and his wife had traveled to nearby Brockport, Illinois in early November to check on some property she had inherited. Although no specific date or cause have been determined for his death, he was 79 at the time. KGO Radio official website: http://www.kgoradio.com/showdj.asp?DJID=3450; Absoluteastronomy.com:http://www.absoluteastronomy.com/topics/Ray_Taliaferro#encyclopedia.